Recently, on the first Sunday of Great Lent, we read the Synodikon in church. Well, actually just a tiny snippet of it, the bit about the legitimacy of icons and that this faith had established the world, and offering a heartfelt “Memory Eternal” for those who had died defending it. We did not read the entire Synodikon, because it is quite long and lists a lot of heresies unrelated to the icons we were holding in procession at the time, and it contained a lot very unfamiliar names of people who were being anathematized. Reading the names would have felt to my flock rather like reading pages out of the phone book, and since both those being commended with “Memory Eternal!” as well as those being reproached with “Anathema!” were utter strangers to them, I just read the bit about the icons. Those wanting to peruse the entire text may find here. Though I did not read the entire Synodikon liturgically that day, I am still glad that it exists and that we acknowledge its worth by at least reading some of it. The point of the Synodikon is to draw very thick lines in the doctrinal sand and say that if anybody in the Church crosses those lines and strays into heresy, they must either recant or get out, and it is precisely this approach to truth that is necessary and saving. It is also tremendously unpopular. I remember recently reading a modern scholar who was quoting a line from one of the Fathers who was denouncing heretics. The scholar put the word heretics in quotation marks—i.e. “heretics”—to stress that the term was the Father’s, and not hers. She didn’t quite add the term “(sic)” after it to indicate how foolish she thought the term was, but she might as well have. It was abundantly clear that she thought the term and the concept it represented to be archaic, harmful, and more than a little narrow-minded. It certainly flew in the face of current canons of political correctness. Those canons are based on a form of pluralism that says I’m theologically okay and you’re theologically okay, regardless of what you assert. It says that there is not just a legitimate diversity of opinion (which of course there is), but also that the legitimate diversity is so broad that pretty much anything goes, at least in the towers of Academia in which our author was writing. The idea of saying to anyone, either in those towers or out on the street, “Your opinion is heretical” strikes the average man as not only absurd, but in supremely bad taste. They want to know if you’re in favour of reviving the Inquisition and burning witches. You can’t use the h-word in civilized company any more than you could use other abusive labels. Undergirding this attitude is the notion that heresy is just a simple mistake, akin to someone adding up a long column of figures and getting the sum wrong, or missing a question from the game “Jeopardy”. Those enforcing the new canons of political correctness view the work of theologians with their precise definitions (such as we find in abundance in the Synodikon) as the work of people with altogether too much time on their hands who have produced formulas that have nothing to do with actual life. Dogma, and the Church’s insistence upon correct dogma, they say, are irrelevant to Christian living. It is not so. Here I remember the observations of Dorothy Sayers, famous as the creator of the detective Lord Peter Wimsey. In her address Creed or Chaos?, she presents the case of John and Jane Doe who are considering junking Christ’s ethical teaching as impossible and impractical. “Because,” says John, “if he was God all the time, he must have known that his suffering and death and so on wouldn’t last, and he could have stopped them by a miracle if he had liked, so his pretending to be an ordinary man was nothing but playacting.” Adds Jane Doe: “It was easy enough for him to be good, but it’s not at all the same thing me for me. How about all that temptation stuff? Playacting again. It doesn’t help me to live what you call a Christian life.” Sayers points out that John and Jane have swallowed the heresy of Apollinarianism, which states that Christ had no soul like ours, but that the divine Logos took the place of a human soul in Him. As it turns out, heresy has practical effects on living the Christian life. That is why the theologians went to such lengths to refute it and declare it out of court for Christians. It was not just a mania for unnecessary exactitude, but pastoral care for souls like John and Jane Doe. So it is that we Orthodox need to retain the category of “heresy”, whether or not we read large chunks of the Synodikon. The spirit which produced it is rare these pluralistic days where every man does what is right in his own eyes. All the more reason to cling to that spirit when we find it. It is interesting that you bring up Apollinarianism because I have been thinking now for a couple of weeks of how the new universalists and their understanding of “apokatastasis” is a twist on Apollinarianism – brought down into human anthropology. In their thinking, the person (i.e. the Image of God in us) is truncated, not fully real until the purgatorial process of this life and any subsequant hell is over. Thus this “body of death” and the “law of sin” is what we are now – we are in a since missing our full nous and even our personhood (and here they cite Archimandrite Sophrony who apparently argued for an anthropology of personhood “in becoming” in this life – we are not yet fully “hypostatic” according to him, though I have yet to read him directly to confirm or deny if this is indeed his understanding). So they take Paul’s teaching in Romans in a Appolinarian sense, and this of course leads to universalism because we are not yet metaphysically “complete” – we are not persons but still “in becoming” and so not really in a position to deny (or even choose anything of significance at all, the will incomplete as the rest of our being). This kind of “irresistable grace” is a metaphysical artifact of our becoming (distinguishing it from Calvin). Thus their confidence that since Pascha is, an the Eschaton is, and God is, our becoming can only lead to it (for His victory is of course complete). We don’t become hypostatic (i.e. 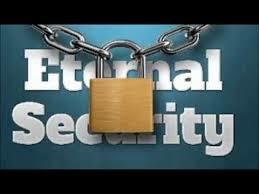 fully human) until AFTER the Judgement, and since God is good we all are found in “eternal well being” in the Eschaton. This of course can not be correct because Apollinarianism was rejected, and Church saw that Christ was already fully human and a true and complete Person in his incarnation (his historic presence with us on earth). Likewise, if we are to be saved then we must be truly and fully “anthropos” otherwise we are nothing at all and Christianity is nothing at all (just another form of “becoming” philosophy, no essential difference between it and neo-platonism and of course Origen attempted this very philosophical synthesis because this is what he believed). This insane over-reaction to “forensic” understanding of Christianity has lead to an Apollinarian emphasis that quite literally negates the soul and personhood of each and every one of us, and the word “heresy” now reluctantly has to be considered in my opinion. Lord have mercy!! I only mentioned Apollinarianism because that was one of the examples Sayers used, but I take your point and agree. I would have no trouble affirming that we are all in the process of becoming fully human and that our full humanity depends upon our sanctity. But the Scriptures are clear that, incomplete or not, our choices in this life still matter and that God regards them as final. If we deny Him here, He will deny us. I would say that we have to be careful (not implying that you are not) when we talk about being human but not some how “full”. In what way is the dozen or so cells that you and I were a few hours after our conception “human”, and in what we did we “develop” or “become”? Clearly, we “became” what we are today and we were not then, but we were still “fully human” at that point. Even more to the point, in what way have we “developed” *spiritually* since then, that we can say we are more “fully human” than we were then? Perhaps I am not a good example because I am still in my sins, but let’s use the example of a Saint – is a saint more “fully human” at his sanctification (whether thought of as a process or a singular event in time/outside of time) than he was when he was a collection of a few cells in his mothers womb (or today as with some humans, in a petri dish)? Surely Christianity has this idea, what today we would call “development” of our spiritual state or being – it is described as “spiritual warfare”. What the universalsists are doing however is discussing our “being” (ontology), though they are mistaken in that usually they are actually thinking in terms of metaphysics in terms of “development” or becoming. Sometimes negatively (all hell including the judgement is purgatorial as they argue) and sometimes positively (as Fr. Stephen tries to do when discussing sin, grace, and our humanity). However, the underlying treatment is one of metaphysical becoming. This leads the diagnosis that because our flesh (sarx) and mind/soul (nous) and spirit/personhood (hypostasis), and crucially the “will” (i.e. the organ of choice) are under the law of sin, we need a ontological solution. This is true, but what they then do is truncate our will and personhood in the name of it’s salvation – they make us less than human to explain sin and evil, and make “becoming” fully human the solution. This runs up against the Christian “story” or narration of our humanity and it’s salvation, because central to this narrative is “Repent, the Kingdom of Heaven is at hand” – For Christ to even utter such a thing assumes that He is speaking (even “communing”) a fully human agent, a real Person who can respond because only full humans (anthropos in total or “fully developed”, not just “sarx” or something truncated) can have will and agency, spirit/person to respond and actually *repent*. Repentance can NOT be “metaphysical” or “ontological” change because a created being can not change it’s own nature/metaphysic/ontology – it can only be a spiritual movement and response from a full human being who is truly and fully already spiritual (even if they are living almost completely in their sins). Leaving aside everything else you have written here, allow me to address the “becoming fully human” aspect of this conversation. This idea of “becoming” fully human is not altogether bad language, but it can certainly be misleading if what is meant it is not understood. A proper understanding of this is expressed well by Christos Yannaras. Our choices (volition) and our freedom are addressed as well. Interestingly, this is an excerpt from a discussion of iconoclasm. The words in parentheses are mine. “The Monotheletes denied the distinction between volition and person; in other words, they refused to separate the person from nature. Human nature is one and it is common to all, whereas human beings are “myriads” and dissimilar to each other. Volition is the work of nature, whereas freedom, as opposed to volition, is ascribed to the person; it is the verification of the person. Volition pertains to the physical individual, whereas freedom is linked to the human person. Looking at his bibliography this looks like it could be from “Freedom of Morality” or perhaps “Against Religion”?? Much too chew on, all of which goes well beyond the limits of your quote here. I would be interested in following up on his use of personhood and how he grounds it. Does he cite his sources and influences well? This goes to the core of what I am sensing from the universalists and their soteriology – is it an monothelete error? I know that the monothelitism leads directly to a compelled and irresistible universalism. Note the date (1965) – well before the fads of our time. Yannaras is, as you mentioned, perhaps best known in the West for his THE FREEDOM OF MORALITY. I suggest you forget the quotations (and context) provided by others and read it yourself (seriously – it is well worth your time). Although no theologian’s work is perfect, it quite well grounded in Scripture and the Tradition with not a hint of white belts and leisure suits. 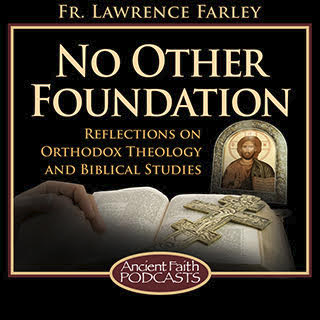 It was of extreme help to me in my journey to Orthodoxy. I confess to being a simple man – not entirely stupid, but unschooled in philosophy. So for me (some twenty five or more years ago) it was a difficult, albeit very rewarding, read. When I read it I was not seeking knowledge for knowledge’s sake as much as I was trying to come to some sort of understanding of the asceticism of the Church – something that can easily be wrongly perceived as works-based salvation without a proper grounding. Yannaras provided this grounding and infinitely more. Your mind would devour it easily. I must say, however, that while I respect the value of theological and anthropological knowledge, it is meaningless if it doesn’t lead to love and repentance (which I view as a positive, blessed thing as opposed to a burden). Theological knowledge is good, but my little brother who has Downs Syndrome and ‘understands’ little has more true theological knowledge than I could ever dream of. A little perspective in terms of the meaning of knowledge is good for us all.